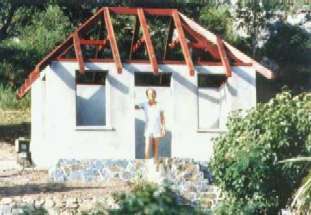 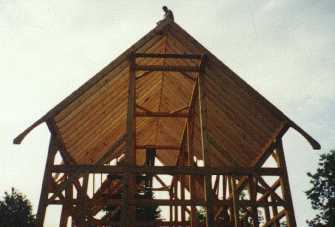 This job, done in 1981 while Mr. Darrah worked with Entwood Construction (no longer in business) was written up in FineHomeBuilding magazine and subsequently included in their book on Timber Framing on Taunton Press: "Timber-Frame Homes". 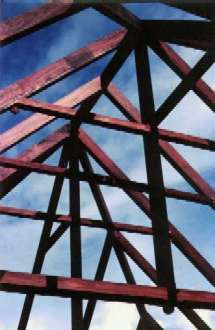 The frame is of purple heart sourced from the North coast of South America. 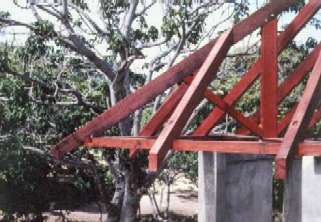 The roof sits on a concrete post and beam structure re-enforced with steel and in-filled with cement block. 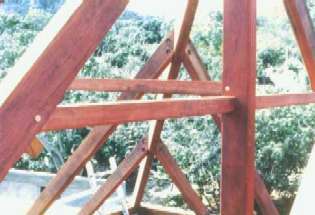 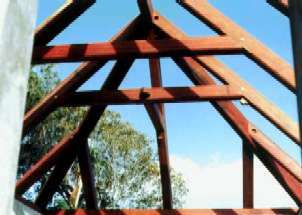 Entwood Construction was a small timber frame company run by John Fagan. 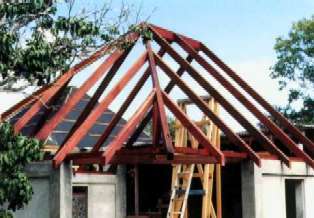 All work on this frame was done by Mr. Fagan and Mr. Darrah.